Last month, the OnePlus 2 received an update to OxygenOS 2.2.1. The update didn't bring Android 6.0, but did carry RAW photography support. 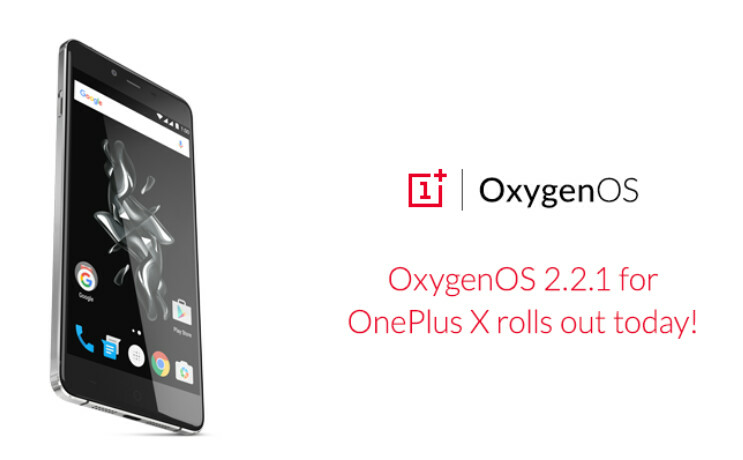 Today, OxygenOS 2.2.1 has started rolling out to OnePlus' form over function model, the OnePlus X. Again, no Marshmallow appears on the update, not even a little taste. What does come with OxygenOS 2.2.1 is a number of bug fixes, a security patch update, and a few specified changes. One of these includes the elimination of a data leak that appeared in some regions when users were roaming. Another repair job was done to the microphone, which was muted by accident whenever Google Hangouts was being used. The update also resolved an issue with the Google search bar that prevented the app drawer from launching whenever the search bar was hidden. With OxygenOS 2.2.1 installed, the OnePlus X will support wireless operator Tigo. The update is being sent out OTA in waves; if you don't get it today, don't pout. Eventually, you will get the update. And you can manually check to see if it has arrived on your phone by going to the Settings on your OnePlus X. How did this phone end up fairing? It had a great affordable start-up price and a beautiful design. Kind of an updated/polish iPhone 4S feel to it. I've had one for a while now. Its been great. Nothing out of this world, but does what I need and looks good too. Oneplus sat on the wall, Oneplus had a great fall. They've given oos 3 community build for the Op2. Final ota not done yet.